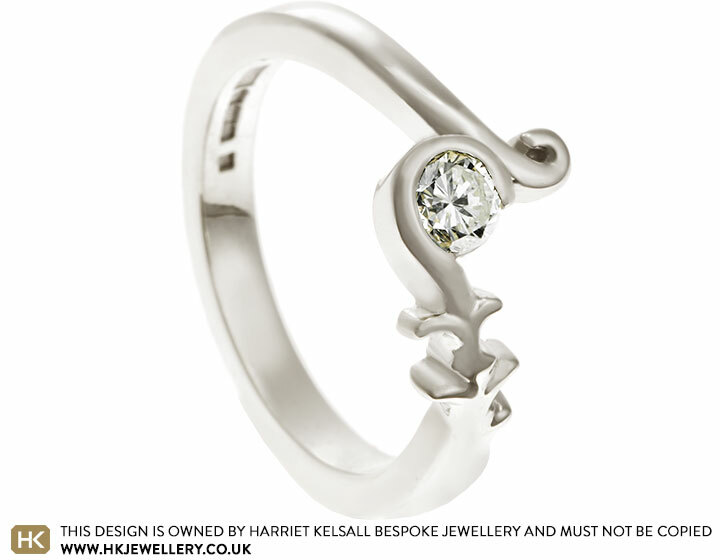 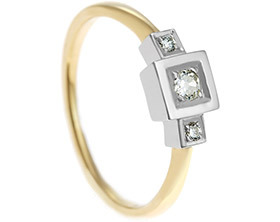 Angie was given her mum's engagement ring , however the style of the ring wasn't something she suited, so to celebrate Angie'S 40th Birthday she commissioned a redesign. 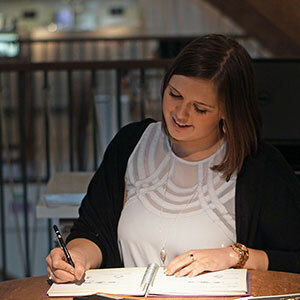 Angie and and her mum visited the studio together so that they could both be part of the design process. 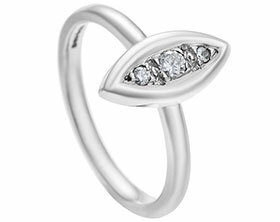 We used Angie's favourite necklace charms to inspire the vine type shaping on one side of the ring which ends in a delicate curl and holds her sentimental diamond. 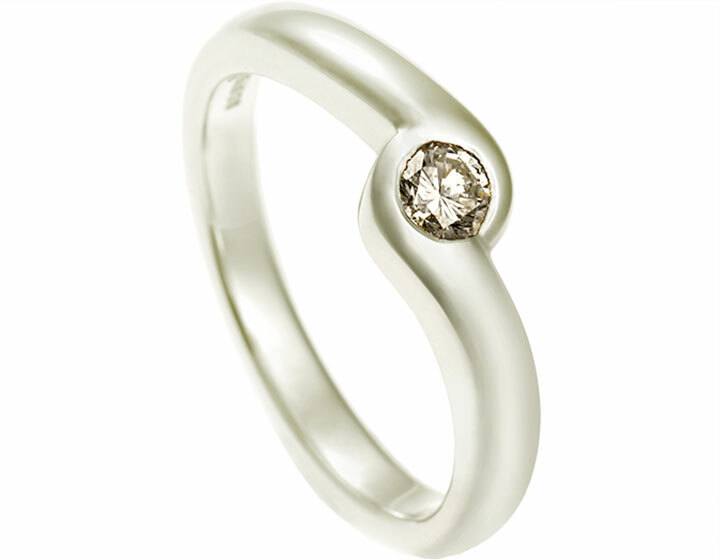 The other side curls up above the stone, achieving the asymmetrical look that she was after. 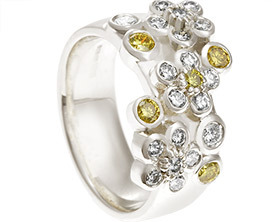 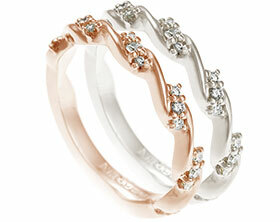 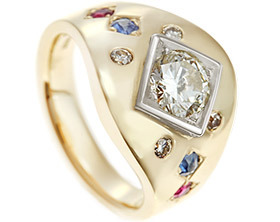 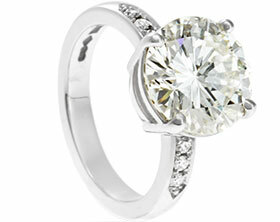 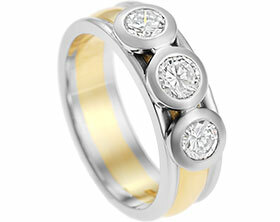 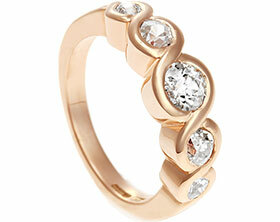 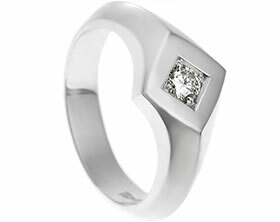 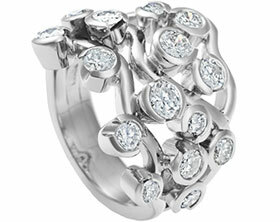 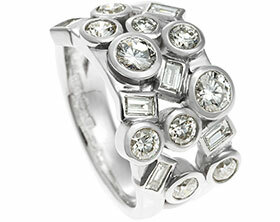 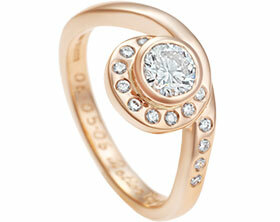 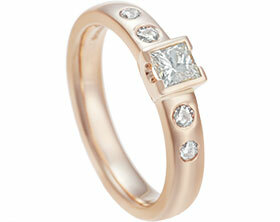 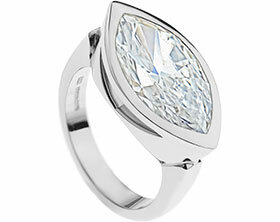 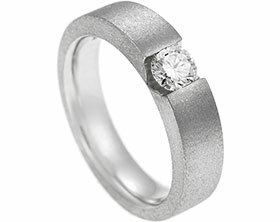 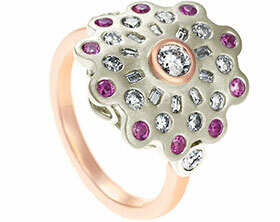 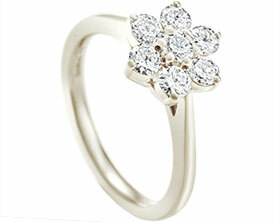 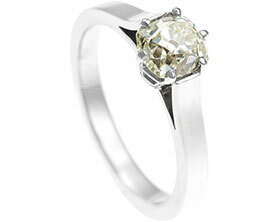 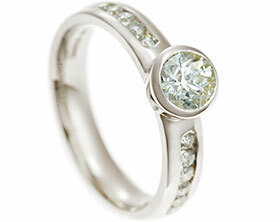 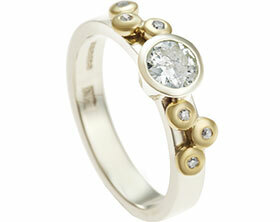 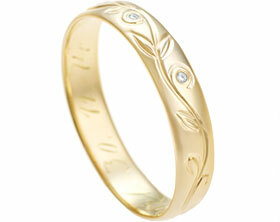 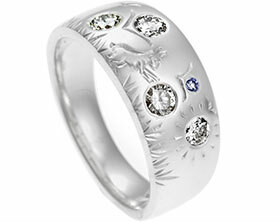 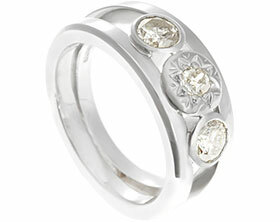 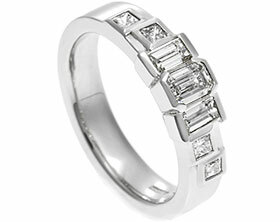 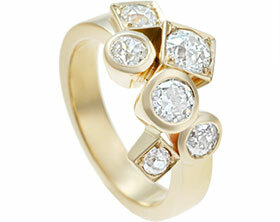 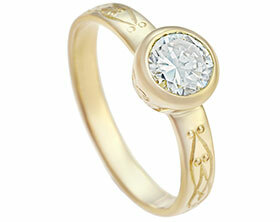 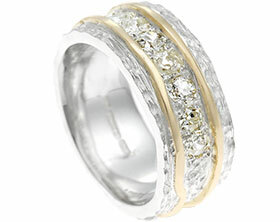 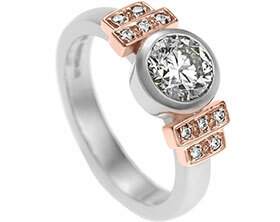 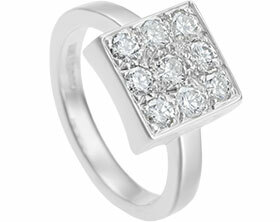 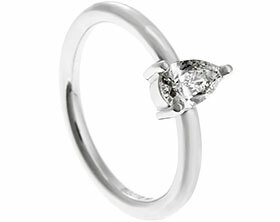 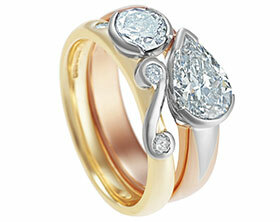 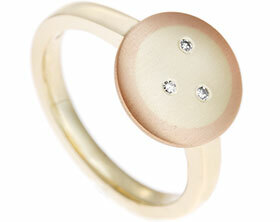 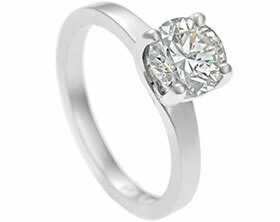 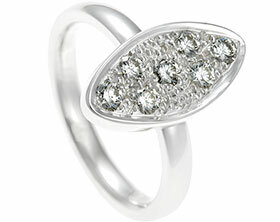 Made in 9 carat white gold, the ring gives the special family diamonds a new lease of life.